2018 is bringing higher prices on almost everything we need to live, thrive and survive, so saving money and cutting costs where you can is really the only choice. 4 years ago I decided I had to find a few products that I had to buy monthly no matter what and eliminate them from the budget. I don't mean stop buying them, I just mean stop paying for them. Laundry detergent and toilet paper are two products that are must buys that can really add up in the budget. I spent about 3 weeks researching different options that would get me both laundry detergent and toilet paper completely free. I picked out 3 different ways out of probably 50+ that I looked into and decided to stick with those 3 faithfully until I was getting my laundry soap and toilet paper free every month. 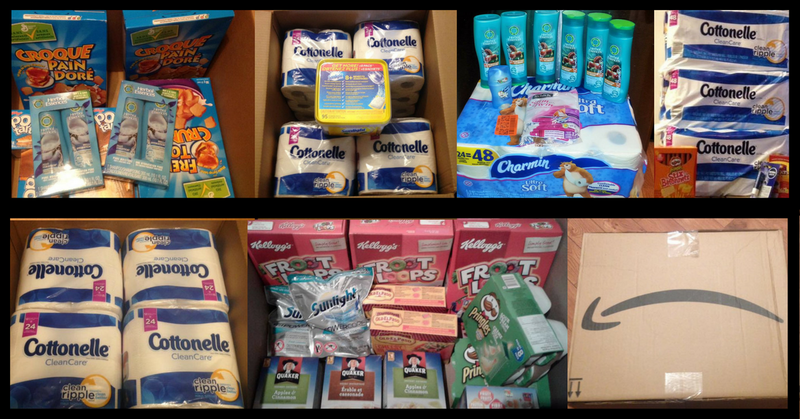 It took about 3 months of me sticking to my goal before I started getting the Amazon boxes of laundry soap and toilet paper totally free, and now I get a box every month with my monthly toilet paper, laundry soap, and whatever household products I need that month. And here is the sweetest part, the boxes of products are totally free and I get money BACK on it! Yes, it's true and I am going to show you exactly how I do it. This year I was even able to squeeze in Christmas gifts and get them totally free too. I made 3 different accounts, and downloaded one app. One with Swagbucks, one with InstaGC and one with Legerweb and I downloaded Mobile Xpression. I picked these 4 out of the 50+ programs that are out there for earning free rewards. The reason I picked these 3 was based on reviews from other users, news stories and accolades and payouts to date and the fact that I didn't need referrals to earn. I definitely made the right choices with these 3 since here 4 years later and I still get free products every month from Amazon delivered right to my door. Starting in 2018 I am going to do some unboxing videos of the Amazon boxes I get free and the order sheets to show you how the totals come to $0.00 every time. It really has paid off, so if you are looking to cut back costs in 2018 these are the best ways to start. When you make your free account at Swagbucks you get a $5 welcome bonus too! With Swagbucks I don't go one day without doing something on the website. There are literally thousands of ways to be making money all day on Swagbucks, but that wouldn't be realistic. With the Swagbucks Mobile and SBTV apps I can use my spare minutes to earn free gift cards on my phone! Like the Swagbucks website, I can rack up SB by shopping, answering surveys and watching videos. During commercial breaks, take a featured survey or fill out your survey profile: 60 SB and there are always surveys waiting to be done. Any online shopping I do is done through the Swagbucks app including when I order my free boxes of products and I get cash back! By downloading the Swagbucks mobile app, I can earn a free $10 gift card by the end of my week. Who knew playing on my phone could be so productive! Swagbucks has special promotions every month, these promotions can earn you BIG SB. When I fell in love with Swagbucks I became an ambassador so all their promotions will be shared here on the blog for you, so you don't miss any! 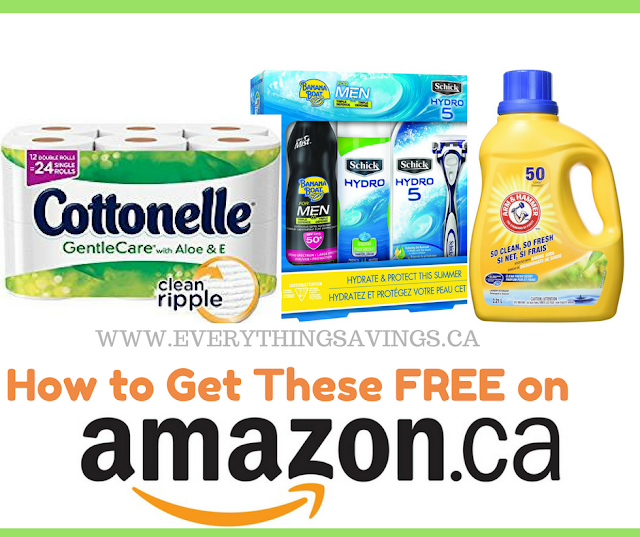 When I redeem my SB I generally only redeem for Amazon.ca gift cards so that my orders will be completely free since remember the goal is always to not pay for laundry soap or toilet paper and whatever bonus products we grab. I stick to buying Cottonelle on Amazon, it seems to be the best deal and often goes on sale. Swagbucks has been in the news and recently hit the 200,000,000 million paid out to members mark which is amazing! 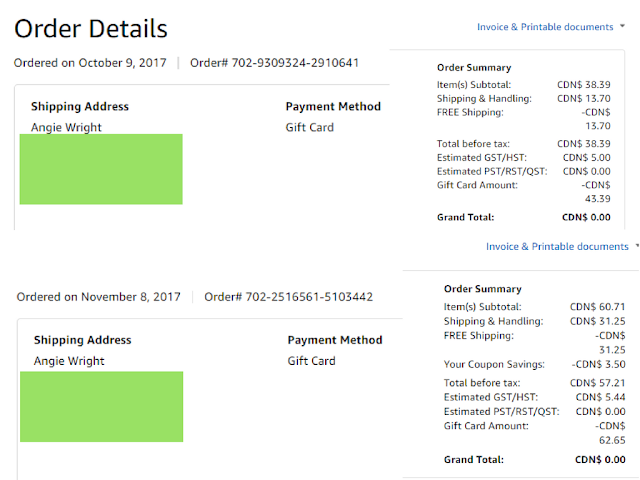 Swagbucks got me through some very financially rough times, by providing me a way to get products free each month. InstaGC I don't put much effort into at all I could really amp up my earnings if I focused on it more and in 2018 I will, just to see what I can earn. I use InstaGC for earning a few Amazon.ca gift cards and PayPal cash. I really like InstaGC because you can redeem instantly. So if you have 100 points and want $1 Amazon cash or $1 PayPal cash you can cash out and that's it you get paid. It's great for those moments when you just need $2 more dollars to make sure you get free shipping so your entire purchase on Amazon is free. Doing simple things like quick surveys can earn you points super fast and with instant redemption's you can't go wrong. This is the most reliable survey company and my top earner for surveys.You can redeem for cash, Air miles and just recently Visa gift cards. This is a top survey company, and once I realized that the more I responded to survey emails the more they came in. Its super easy to make yourself $60- $100 a month from Legerweb. You can also win monthly cash prizes as a member. This is an app I actually switched cell phones for so that I could use the app and earn Amazon gift cards for doing literally nothing! With Mobile Xpression you download the app to your cell and allow it to run in the back ground. After your first week you get a $5 Amazon.ca gift card just for downloading, then every week you will get a notification saying you have 2 credits. Click accept credits and that's it wait for next weeks. At 10 credits you get a $5 Amazon.ca gift card. Seriously the easiest way on earth to get free Amazon gift cards. Pick 1 of 2 products you are sick of paying for each month and do these 4 above programs daily and within 2 months you will be able to start getting boxes of products from Amazon totally free, even the shipping is free. Like Trying New Products For Free & Saving Money? Join Us on Facebook at Freebies in Canada for Hourly Freebies, Giveaways, Product Samples & More!